This month there are some fantastic feminist events happening not only in London but also nationally. The first ever Womens Comedy Festival takes in Manchester from the 1st until the 27th of October with over 100 events across 16 venues. Goldsmiths University are launching the new Feminist Research Centre (FRC) and will be holding an opening lecture on 10th October and panel discussion on the 31st of October. 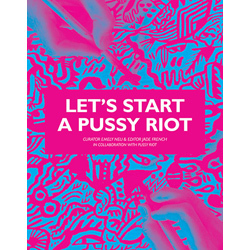 Feminism London Conference is at the Institute of Education on October 26th and is followed by Reclaim the Night March in the same evening. On the 12th of October the History of Feminism Network Conference takes place at the British Library where they will host a day of discussions that explore ‘The Women’s Liberation Movement: Intergenerational Histories of Second Wave Feminism’ . Also happening across the country Ladyfest Leeds on October 19th and the North East Feminist Gathering in Newcastle from 12-13th October. 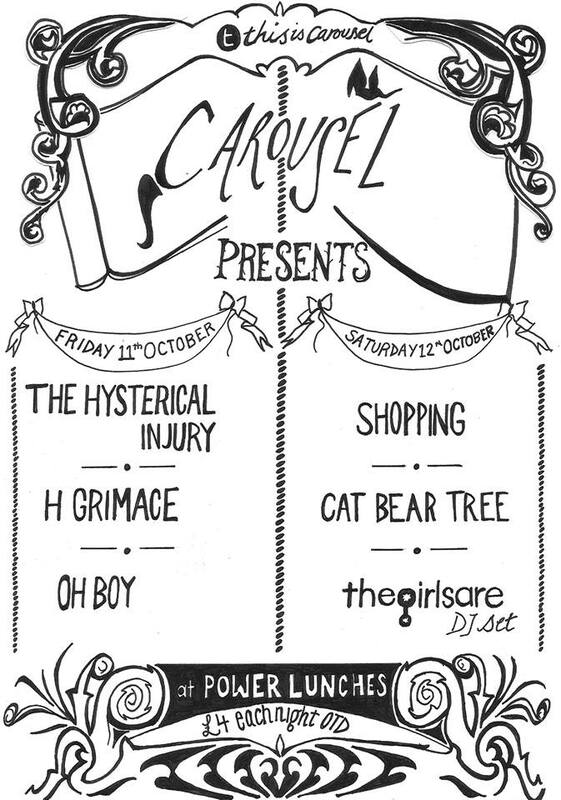 There are also some great feminist events happening in East London this month with launch of Carousel, ‘a new platform which promotes equality in the arts and showcasing emerging and underrepresented talent’ celebrating with a two evenings of music 11th & 12th of October, featuring one of our fave bands; The Hysterical Injury and The Girls Are..DJ set at Power Lunches, Dalston. East London Fawcett presents their second event as part of the “Are Men Doing it?” campaign. The Bad Boy Of Feminism, James Mullinger’s first solo stand-up UK tour, was a huge hit critically and commercially ending with a sold out run at London’s Soho Theatre. The premiere screening of short film “Honest Lies” based on a story written by a woman previously involved in prostitution and funded by a kickstarter project. The screening takes place at Amnesty International UK, followed by a discussion with a panel that includes Kat Banyard (UK Feminista), Fiona Mactaggart MP (Slough), Ruth Jacobs (writer and campaigner) and Cheryl Stafford (Eaves for Women). This October update we thought it was important to highlight some of the groundbreaking feminist theatre that is currently storming the stage in London. First up, set in 1898, ‘Blue Stockings’ concerns the hurdles faced by the first generation of women to attend Cambridge University. Written by Jessica Swale and directed by John Dove at the Shakespeares Globe Theatre until 11th October. Celebrated theatre company Clean Break return to Soho Theatre with Katie Hims’ ‘Billy the Girl’ which runs from 29 October to 24 November. Clean Break is a women’s theatre company using theatre for personal and political change and working with women whose lives have been affected by the criminal justice system. On 12 November, a post-show panel conversation features past and present Clean Break commissioned writers discussing the Clean Break commission and its impact on their writing lives. On 13 November, post-show panelists from various disciplines discuss concepts of chaos and women in the criminal justice system. The Camden People’s Theatre present a festival of feminist theatre “Calm Down Dear” a gathering of artists and companies presenting a three-week season of innovative theatre, performance, comedy, cabaret and discussion about feminism. Programme runs from 23rd October until Sunday 10th of November. The Lose the Lads’ Mags campaign, lead by UK Feminista and Object, is calling on Tesco to stop selling sexist, pornographic lads’ mags. So far we have convinced Co-op not to stock Lads’ mags and Unison has just been announced as a new supporter. LOSE THE LAD MAGS are off to Parliament! On Tuesday 15 October we’re holding a crucial meeting in the House of Commons with Caroline Lucas MP to call on Tesco to lose the lads’ mags. A power-punching noise-pop duo, a dose of post grunge, psych surf and some songs about bodies and blood. Only £4 per night – pennies to be paid on the door.